We’re packing up and heading out to Gulf Shores, Alabama with our high school students! Ocean, Beach, Sand in toes, water parks, swimming, van rides, games, fun, and God — What an awesome combination! This trip is designed to get high school students away from the pressures of their world and show them the depths of God’s Word and love. PRICING: $425, with a $100 deposit. The remainder of the trip’s payment can be completed up until check-in for the event. No refunds will be provided once we are 3 weeks out for the trip, which is Monday, May 6, 2019. WAIVERS, PACKING LIST, ITINERARY: Waivers and photo release are located below. The packing list and itinerary will be released at a later date. QUESTIONS ABOUT THE TRIP: Contact Daniel Ryan Carr at dcarr@dentonbible.org. 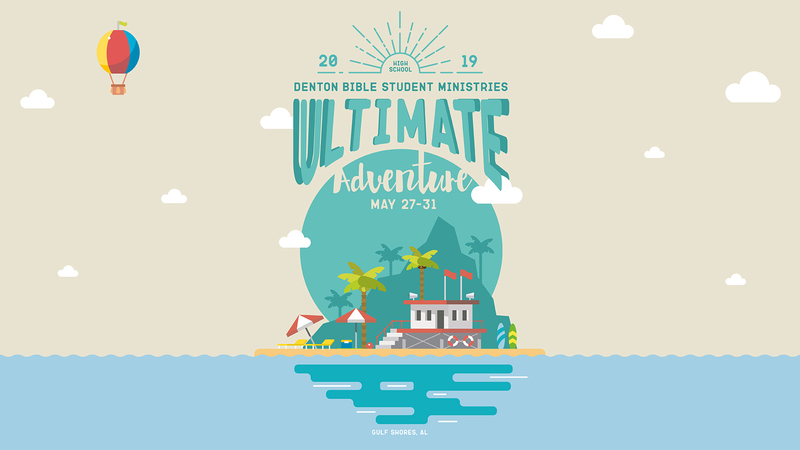 QUESTIONS ABOUT REGISTRATION AND PAYMENT: Contact Morgan Sain at msain@dentonbible.org.